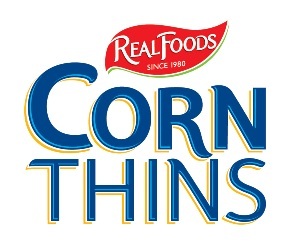 Corn Thins are not rice cakes, but corn cakes. The primary difference between rice cakes and Corn Thins is taste (due to Corn Thins being made from corn). Corn Thins taste like (healthy) POPCORN, as they are simply made by popping grains of corn under high pressure and temperature in a mould, so that the grains are popped, then squished into the shape of the mould. This makes Corn Thins a super healthy snack or bread replacement, which can actually be enjoyed by the whole family, including the kids. They are perfect as a snack on their own, or with your favourite toppings. - Traditional Corn Thins which include Original, Soy, Linseed & Chia, Multigrain, and Sesame. Wholegrain Rice Thins and NEW Whole Grain Thins Sorghum are also available. Real Foods is an Australian, family owned company producing all foods locally at its St Peters site in Sydney. Real Foods only produces all natural, GMO free & gluten free products.